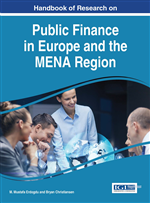 The chapter examines tax structure and its relation to good governance and economic development in the MENA countries. First, it discusses how different tax systems and tax structures in the region compared with other countries. MENA region can be characterized with low level of tax-to-GDP ratio compared to other groups of countries. However, tax systems considerably diverge within the region. Most importantly, whether having hydrocarbon revenues meaningfully divides the region's countries with respect to tax composition, tax levels, tax ratios and tax regimes. Literature suggests that natural resource revenue is also an important determinant of governance and institutional development that have impact on economic development, while good governance, a more legitimate and responsive state is an essential factor for a more adequate level of tax effort. Therefore, the second section of the study examines the relationships between taxation and good governance with emphasis on the MENA region. Despite diversification among them, tax systems of the MENA countries have some common features and challenges on account of the region’s economic structure, political issues, and even cultural background. Moreover, globalization, international spillover of tax competition, and international experience of tax reforms put pressure on their tax system with regard to attract foreign direct investment (FDI), stimulate economic performance and development just as other developing countries. Given recent political turmoil and weak institutional capacity, taxation in the region may also function to build efficient institutions, good governance and a social contract between the governments and citizens. The problems in which the MENA countries suffer are substantially common to those of other developing countries such as the low level of income taxes, inefficiencies of tax administration, informal structure of economy and weak data to consider policy options. However, some of them are especially heavy in the region because of idiosyncratic features of the MENA countries. With regard to tax structure, total tax as a share of Gross Domestic Product (GDP) is low compared to many developing regions as well as taxes on income and profits as a share of total taxes. Empirical literature suggests that the low level of total taxes and low share of income taxes are associated with corruption and weak governance which are the problems widespread throughout the region. From this perspective, the chapter discusses tax systems of the MENA region in terms of building institutional capacity and good governance for development and thus, stimulating economic performance. The first section will discuss how different tax systems and tax structures in the region compared with other countries in terms of income and geographic classifications. Considering the international tendencies and experiences, tax rates and reforms are also discussed in this section. The last section will deal with the role of taxation to build well-functioning institutions and qualified governance as well as a fiscal system that extract revenue to finance development and public services.